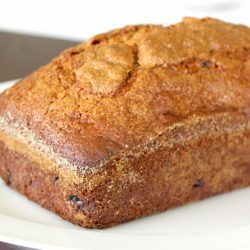 We love all the Amish Friendship Bread recipes in our Recipe Box, but the original Amish Friendship Bread recipe is the simplest and the best. This recipe is very versatile! Use 1 or 2 boxes of pudding (pudding boosts flavor and moisture, but you can also leave it out or make your own). Add 1 cup of dried fruit, nuts or baking chips of your choice. Looking to make your Amish Friendship Bread healthier? Swap out ½ cup of oil plus ½ cup of applesauce or 1 egg plus ¼ cup mashed banana. Reduce sugar to ⅔ cup or replace with ⅔ honey.